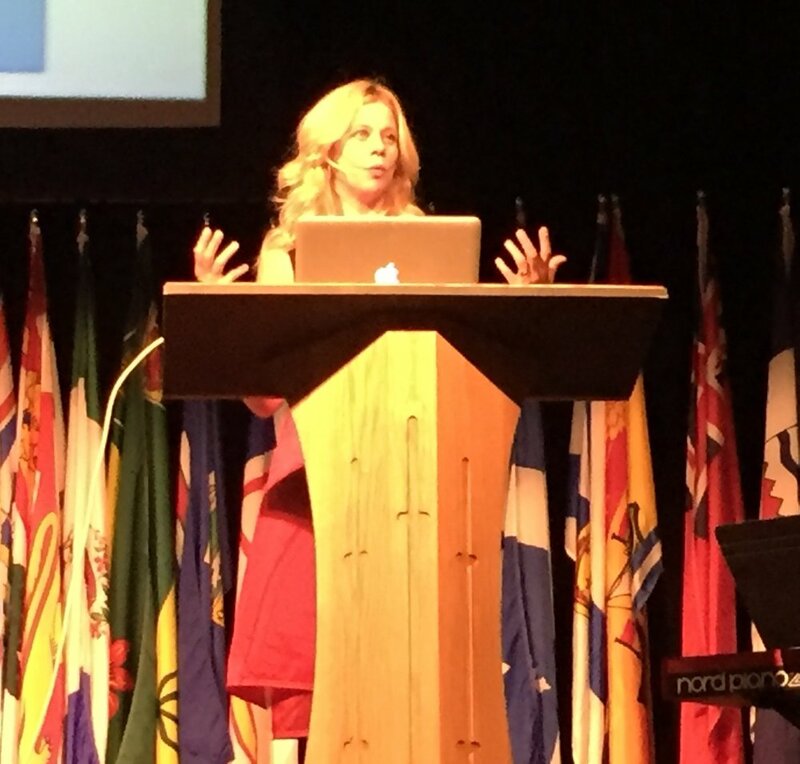 Maggie Baratto's passion is to see the heart of Canada healed through the unconditional love of the Father. It is an honour to travel and serve by helping impart God's vision for this nation. Below, you will find a form to fill out as a formal invitation for a speaking engagement or a Healing Rooms training. This information helps us as we prayerfully consider the scheduling of Maggie's itinerary. Conferences & Speaking Engagements: Airfare, travel, food and lodging expenses for Maggie and one team member are to be covered by the organizer. Any additional honorariums are left up to the host's discretion as led by the Holy Spirit. Healing Rooms Training: Airfare and travel expenses are generally covered by the registrations collected. We will suggest a minimum number of registrants. Food and lodging expenses for Maggie and one team member are to be covered by the organizer. Any additional honorariums are left up to the host's discretion as led by the Holy Spirit. Book Table: Maggie typically travels with books, CDs, training manuals and other items for purchase. We request that the host provide both an appropriate location (i.e. book table) and personnel to manage and conduct purchases at no expense to FHHM. Please check our already scheduled "Trainings & Events" page before choosing your dates. We thank you for your invitation to be part of what God is doing in your area!